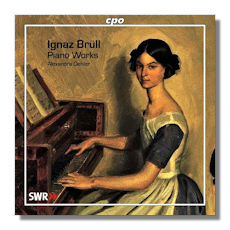 The Austrian composer Brüll began his career as a concert pianist until composition became his main purpose in life. Much of his career was spent in Vienna where he was a friend of Johannes Brahms, a distinction for which he is probably best known. His piano music shows the influence of various composers, notably Robert Schumann and Frédéric Chopin, but less so Brahms. Also of interest are his two piano concertos (Hyperion CDA67069) and a CD containing his Symphony in E Minor and Serenade #1 (Cameo Classics CC9027CD).